The Beer Now Conference was founded in 2010 as the Beer Bloggers & Writers Conference and has been run every year since. 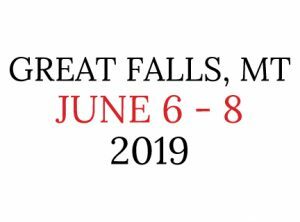 In 2019 the conference will take place June 6-8 in Great Falls, MT with approximately 150 attendees from throughout North America and beyond. The Beer Bloggers & Writers Conference became Beer Now in August 2018 based on the determination of our community that the previous name was not encompassing enough. In addition to beer bloggers and beer writers, Beer Now welcomes those communicating about beer via podcasts, photos, and video as well as industry members communicating about their own brands. Our attendees are not only passionate about beer. They are energized by writing about, photographing, podcasting, and recording video about beer, breweries, and the people that make up the beer industry. They are motivated by communicating their views to their communities via their blogs, industry magazines, and social media. Our attendees and thus this conference are a crucial aspect of the industry, a connection between brewers and consumers. They are often the voice of the beer industry.